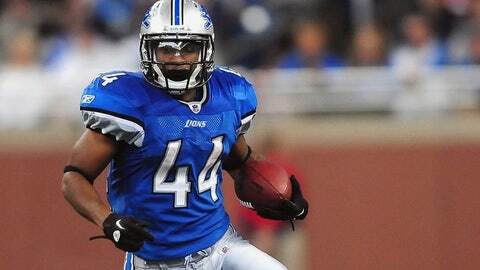 Jahvid Best hasn't been cleared for contact by doctors since playing in his last game in October 2011. The NFL is facing another lawsuit because of concussions. This one comes from former Detroit Lions running back Jahvid Best, who filed the lawsuit Tuesday in Wayne County Circuit Court in Michigan for unspecified "economic and noneconomic" damages, according to the Detroit Free Press. The lawsuit alleges the NFL knew the risks of concussions and didn’t do enough about them. Riddell, which manufactures the helmet that was worn by Best, is also listed as a defendant. "It’s somewhat premature to go into numbers," Best’s attorney, Bret Schnitzer, told the Free Press. "We’re not prepared to give a specific amount at this time." Schnitzer pointed out that many ramifications from the head injuries aren’t fully known until years later. The NFL agreed last summer to settle a concussion lawsuit involving some 4,500 former players for $765 million. Best, a first-round draft pick by the Lions four years ago, reportedly suffered two concussions in college at California and then three more in the NFL. He hasn’t been cleared for contact by doctors since playing in his last game in October 2011. "I want to thank the Detroit Lions organization for drafting me and giving me an opportunity to fulfill my dream and play in the National Football League. My time as a member of the Lions was a very special time in my life. My teammates, the members of the organization, the Lions’ fans and the people of Detroit will hold a special place in my heart. I’ll always be a Lion." 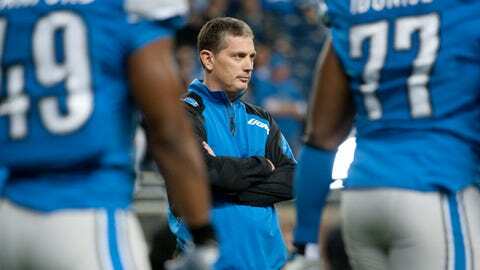 Since then Best has filed a worker’s compensation case against the Lions that is still pending and now filed the lawsuit against the league. Best, who has declined interview attempts since being cut by Detroit, is expected to return to Cal to pursue his degree and work with the football team’s running backs as a student assistant coach this year.